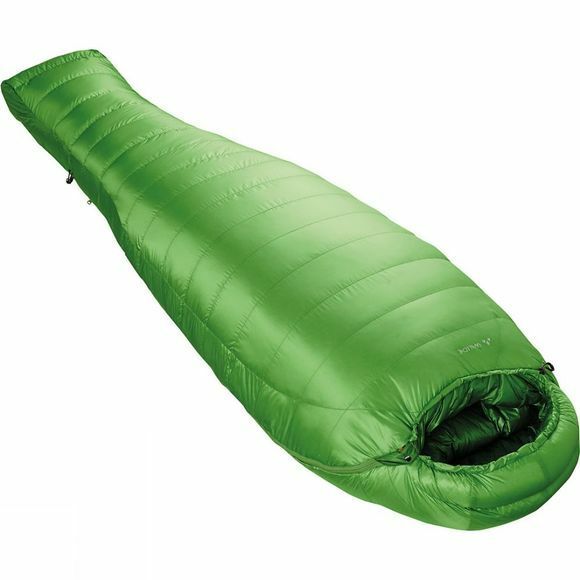 The Rotstein 700 Down Sleeping Bag from Vaude is a lightweight for 3-4 seasons: mummy sleeping bag in a lightweight H-chamber construction with 700 grams of premium 700-fill power duck down procured in accordance with the Responsible Down Standard (RDS). This down bag packs down small; the outer material is made from premium Pertex Quantum and it features both low weight and high abrasion resistance. The cut, optimized for warmth and volume, guarantees full freedom of movement. The textile materials are certified according to the bluesign standard. The Vaude Green Shape label stands for environmentally friendly, functional products made from sustainable materials.